The keychain remote is a wireless device with four different buttons. They are usually used during medical emergency and break-ins. In any medical emergency, you can press the panic button from it. In case of break-ins, you can turn on the siren and call the police automatically. 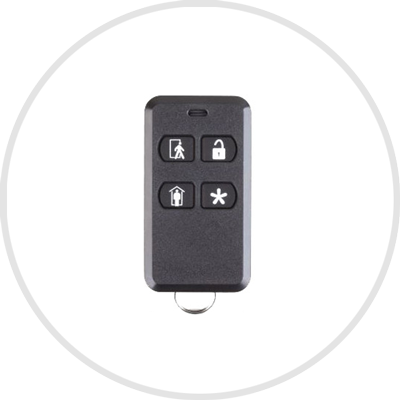 Using this keychain remote, you can also turn your system on and off at any time and from anywhere.